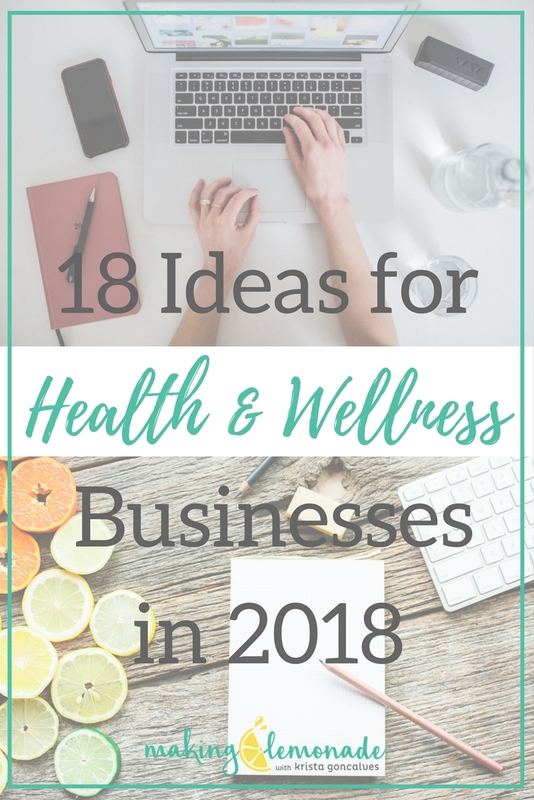 I thought we would start this year off with a bang, so here are 18 fabulous ideas to juice up YOUR health & wellness business in 2018!! 1. Stop building your own website. Right now! Most people are not website developers, website designers, or even tech-savvy – me included, although I’m learning! So why, oh why, would you want to spend so much time and energy on something that you could outsource and have it done right the first time?! Website Weekend Design – if you are inclined to learn how to DIY your website, this is THE perfect option as you will be guided by a professional web designer from The Holistic Entrepreneur Association! Main Street Creative says, “When you’re writing your content, identify topics you want to focus on for your business, then write the most useful, engaging content you possibly can. I personally always read my post out loud before publishing it, as if I was using it as a script at a speaking engagement. This helps to catch awkward phrases and tweak things a bit further. 3. Reconfigure your ‘About Me’ page…into a ‘Start Here’ page! Guess what… it’s not really about you. Try using this ‘Start Here’ page copy flow – this is what I use on my own page. Stop reinventing the wheel every time you go to create new content…reuse, recycle, repurpose! Good goji, not a rebrand?! Umm, wait, I didn’t even know that I had a brand in the first place?! Ok, perhaps suggesting a full rebrand is out of the question for most – but ask yourself if you feel like you’re truly “showing up and owning it” in your business…at this very moment? Are the images, colours, logo and even the business name you’re using aligned with the core message you’re trying to “sell” to your people? Your press & media – this will come with time! 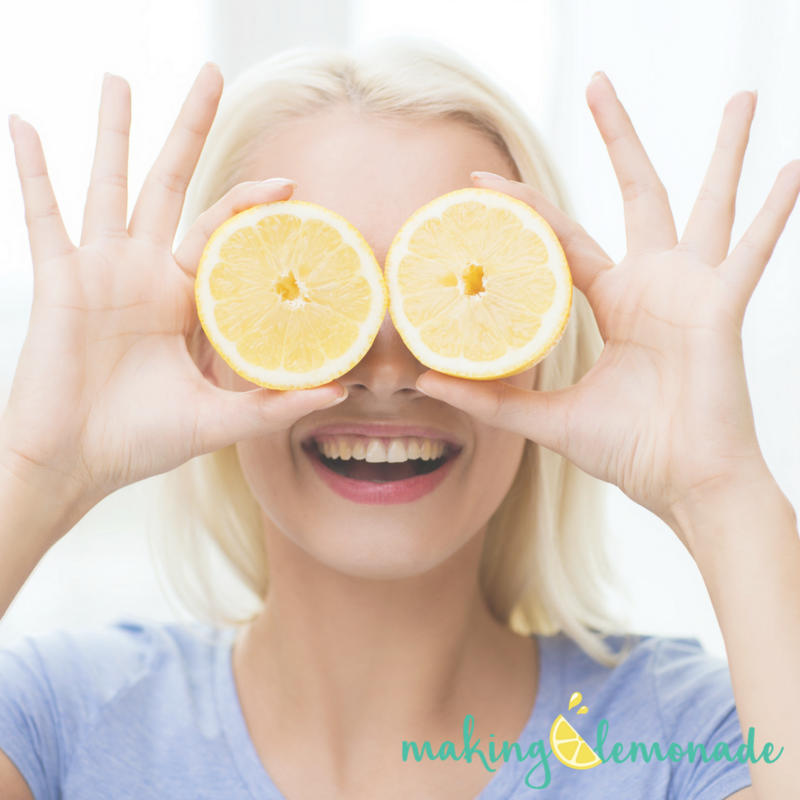 Grab life – and your business, by the lemons! 7. Get social, really social! “Wellness is all about community, about spreading health, about lifestyle – and social media fits into this just perfectly. Social media is an opportunity to have a fun, informal, useful conversation with your ideal client. It’s not about pitching your products and services. “For brands to be successful on social media, they need to offer value to their audience. In other words, no-one is going to pay attention to you on social media if you do nothing but advertise yourself. Instagram has become the hot, trendy place to be, and to be SEEN. I’m just figuring this one out myself! “Since Facebook groups allow to reach people on a much more personal level than your Facebook page, having a community where people can come together can be a really powerful relationship-building tool. Here’s more about how to market & fill your Facebook Group. Speaking of…having you joined us in the Juice Up Your Wellness Biz Group yet? We’re waiting for you HERE. Do I know WHERE my people hang out? What do they truly WANT? Here’s more about how to pick a niche – the article by Holistic Nutrition Hub focuses on Holistic Nutrition, but this can be applied to all health & wellness niches. Here’s WHY you need one, and HOW to make one (without the frustration)! Even if it’s only to your best friend at first – and I promise you, it’s not as terrifying as you think! As Nike says, ‘Just do it’! The more you do it, the better you’ll feel about it. (Fake it ’til you make it, right?) Make videos or photo shoots part of your business routine. Maybe you never grow to love it, but you’ll start taking the fear out of photos! Yes, that is how you sound… Nobody likes their voice on recordings, but think of it this way – everyone else hears your voice the way it sounds recorded, and they don’t seem to mind! Don’t be afraid to be chatty! Pretend the camera lens is your friend, and have a conversation. Try not to be robotic or stiff. Total buzzkill. Watch yourself. I know you REALLY don’t want to but watch every video you make from start to finish. Critique them, figure out what works and what doesn’t, and get comfortable seeing yourself on film. Here are some more tips for showing up and owning it, both in front of a camera and in general. Amy Lippmann of Marketing for Health Coaches offers some great advice for booking talks and using them to sell. “I often see coaches giving talks on topics that are too general, and while you may be passionate about speaking on these topics, they aren’t specific enough or compelling enough to attract your ideal clients. The other mistake I see is coaches speaking on specific topics (such as “Superfoods” or “Raw Foods”) without relating the topic to a specific pain point or desire. Most people don’t walk around thinking: I want to learn how to eat raw foods. This is the best! Start compiling a little squirrel’s nest of compliments, testimonials, and “feel-goods” from your clients and associates. Now use ’em in social media and on your website! Here’s one of my faves from one of my first coaching clients, and when I’m having a bad day, I just look over at it (on the PostIt on my desk) and feel instantly reinvigorated. “Krista, you were a bright light in my darkest corner. In print (written, magazine), podcast or on video (livestreaming or pre-recorded). It’s the same as seeking out speaking opportunities…get out there and make connections with people in your field. Don’t be shy and never feel that you’re not worthy of sharing your incredible knowledge and passion with others! Here’s a few of mine to inspire you to see the possibilities on how you can become known as a credible authority in your field. But Krista, I don’t have the money to pay for services and other professionals. Find it. If I had’ve known just how much of my valuable time (and money) I would ultimately waste on things like website development – I would have outsourced them right away even though they didn’t exactly “fit in the budget” at the time. Here are the Secrets To Outsourcing Even On a Tight Budget – on the Wellness Business Podcast. You read, you learn, you sign up for webinars, you make lists, you make more lists…all of that may seem like you’re getting somewhere in your business, but it’s really just “busy work” and not lead generating work. You may be thinking you’re being busy working at your business, but in actuality, you’re not spending your time on the right things that are going to ultimately bring in income. I’m talking about getting qualified LEADS…which is the fundamental requirement for any business to grow. That means stop fiddling with the colours and fonts on your website and engage in the activities – the MMA’s that get you the leads. Add an additional income stream to your health, nutrition or fitness coaching business. What I eventually added onto nutritional consulting (when I was totally fed up with spinning my wheels financially) was a signature group program (on women’s hormones), workshops (on women’s health), and paid talks – also about women’s health & hormones. Talk about niching! Want the Ultimate Guide to Free (or Low Cost) Business Tools & Resources?